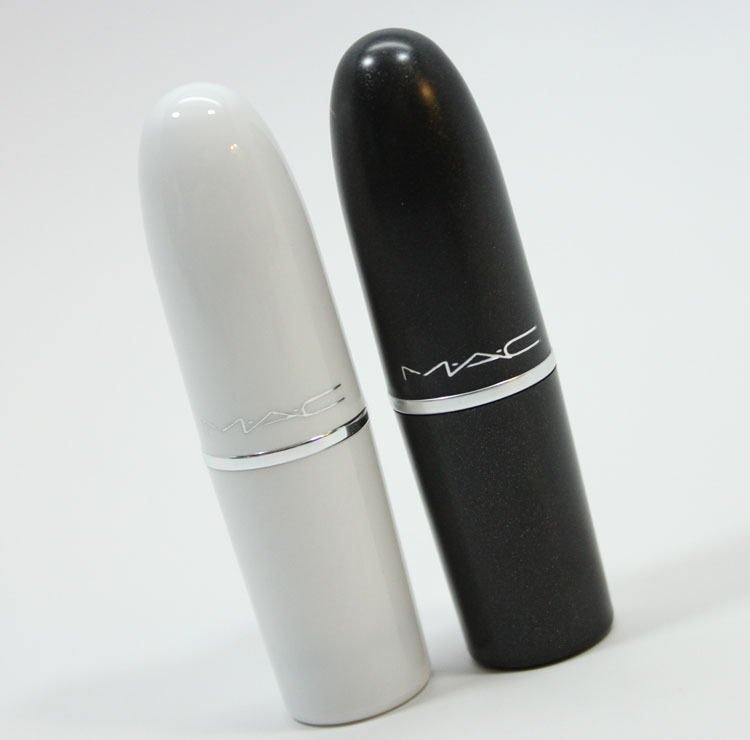 I was at the nearest CCO (Cosmetics Company Outlet) a couple weekends ago and for some inexplicable reason, I bought two lipsticks that I will probably never actually wear: MAC Soft Sable and Summer Shower. Both of these appealed to me for different reasons. Soft Sable reminded me a little of one of my favorite first MAC lipsticks called Modem. Me and one of my friends wore that one for years in the early 90’s. Summer Shower is just straight-up cool looking. I mean hello, it’s an icy blue! With shimmer! YES. Soft Sable (Frost) is a frosty taupe brown with shimmer. It’s one of those weird shades that on me, makes me look corpse-ish. But I like that because I’m weird. 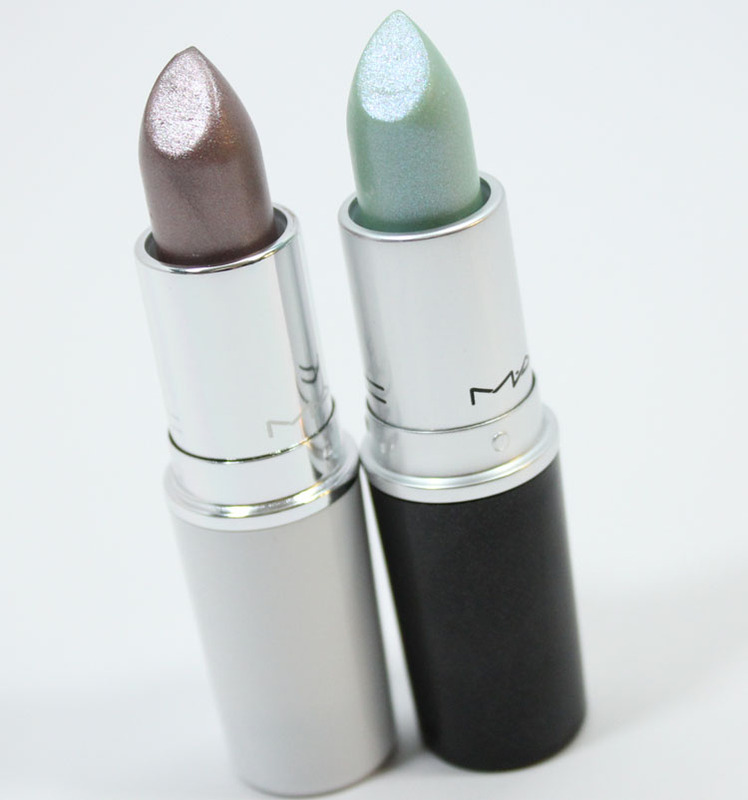 One of my other favs from MAC is Folio, which is very corpse-like. With Soft Sable I see hints of a plummy tone to it along with the taupe. Summer Shower (Glaze) is a soft shimmery blue/pink shade. It’s very subtle on and doesn’t look weird or very blue at all. 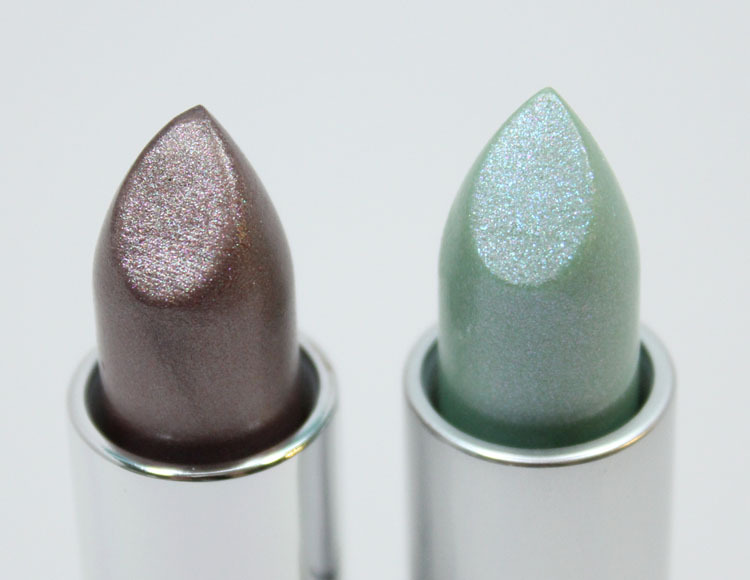 It’s a “Glaze” formula so it’s sheer and would look cool layered over other lipsticks. 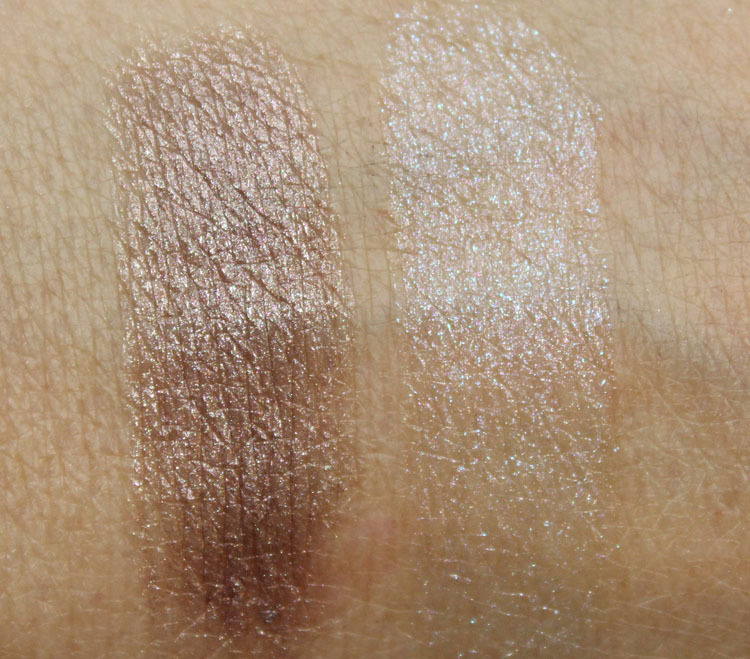 Soft Sable was from the Glitter & Ice collection in 2011 and Summer Shower was from Fashion Flower, also in 2011. These might be available at a CCO near you though if you’re interested. Do you own either of these? Would you wear these shades?